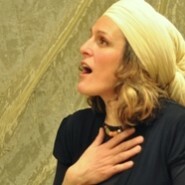 A beautiful song just in time for Tu B’Shvat from my neighbor Anaelia ben David. Anaelia writes, composes, arranges and performs original texts and melodies, along with traditional songs in Hebrew, Yiddish and Ladino. Click here to hear more songs by Anaelia Or visit her on facebook.